Medieval Times Dinner & Tournament sent out the following press release this week and we are excited to be invited to their opening weekend. I’ve lived in Florida for almost 20 years and I’ve never been, so it’s about time that we check it out. The kids are super excited to see show and see a “real queen”. Medieval Times Dinner & Tournament is ushering in a new royal ruler as the lead role in their wildly popular Central Florida production at the Orlando Castle. For the first time in the company’s 34-year tradition of having a king as the sole ruler of the land, a female character will make history in the company’s newest show debuting on April 19th in the heart of Osceola County. The matriarchal move came as a result of guest feedback on the roles that women played within the fantasy story-telling production. The new queen character is a firm, but kind, ruler who inherited the throne at the passing of her father, the previous king. The role has already been unveiled at Medieval Times castles in Dallas, Chicago, New Jersey and Buena Park, CA to wide acclaim, with an additional four North American castles as well as one in Toronto, debuting the new show later this year, following Orlando’s launch. Tickets for the dinner and show start as low as $36.95, making it an attractive alternative for families looking for an evening of fun, or even groups of adults celebrating everything from birthdays to corporate events. “Our new female queen is a sign of the times and we couldn’t be more excited to bring her to Florida,” said Doug Dorn, Medieval Times Orlando, FL General Manager. “The queen is fully in-charge. Her authority is sometimes challenged, but she quickly asserts herself as a strong leader. Medieval Times’ Orlando, FL venue is the first castle to open and has entertained more than 20 million guests since 1986. The iconic Central FL castle performs more than 600 shows per year, that’s a lot of chicken! From epic battles of steel and swordplay, to royal falconry and horsemanship – the royal courts offer memories to last for generations. Additionally, an elaborate four-course meal fit for royalty (including vegetarian options), and the wide variety of libations and spirits, make for a festive evening of food and fun. More than 700 new costumes for all nine castles’ performers including horses, all of which are custom-designed and hand-made at a dedicated costume shop near the Dallas Design District. Two hundred new suits of armor, shields and helmets, all custom-designed and hand-made at a dedicated armory in Florida. More than 350 team members and 225 horses who have rehearsed new lines and fight scenes for three months while still presenting the current show. This include the queens undergoing an intense two months of training to become experts at riding the impressive Andalusian stallion for the new show. New music composed by Dr. Daniel May, the composer and jazz pianist who scored “Everest” and other films, and has worked with notables such as Sting and The Moody Blues. He directed and recorded Medieval Times’ new show composition in Kiev with the National Symphony Orchestra of Ukraine. This includes directing the choir in Ukraine with lyrics written by notable poet and choir member Solomia Gorokhivska. A live-action film score precisely synchronized with every element of the show, from lights to fights; jousts to jabs; the Queen’s entry to curtain closings; and more. A sound and light production featuring 120 hours of programming with 300 new music cues and 500 new lighting cues. Orlando, FL is one of several castles installing and programming a new LED lighting system that offers 256 colors versus the old 14-color system. The system is powered by 10 miles of cable and an estimated $1 million upgrade. Medieval Times owns and operates nine castles in the U.S. and Toronto, Canada, having entertained more than 66 million guests over the last three decades. *We are receiving complimentary tickets in exchange for this promotional post. All thoughts and opinions are 100% my own. 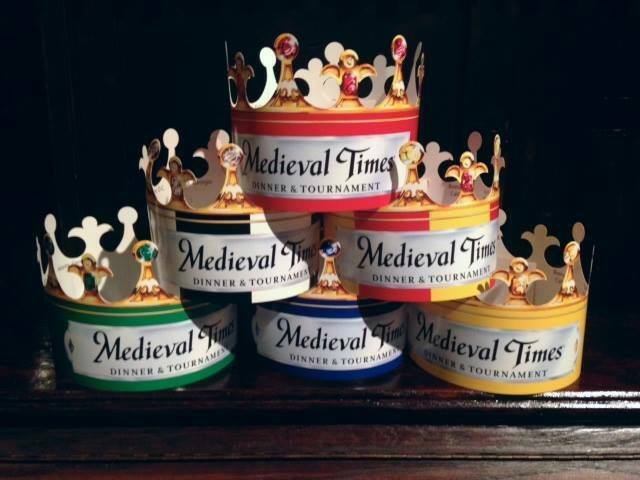 Press release and photos from Medieval Times Dinner & Tournament were utilized to provide necessary details.